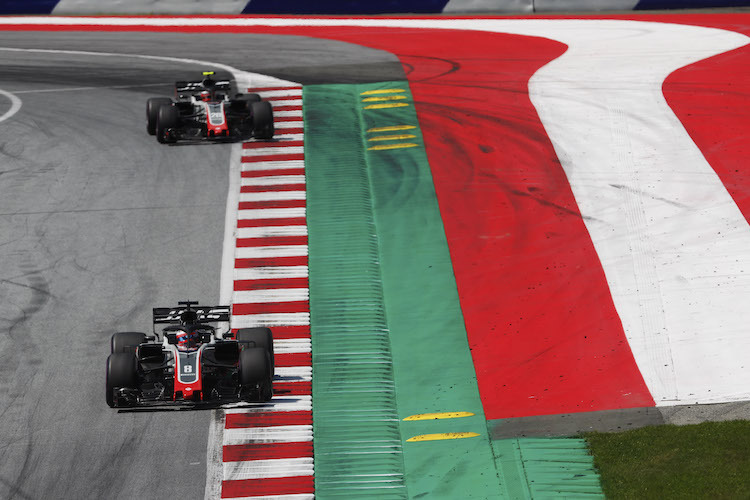 The Austrian Grand Prix is one of the most popular European races. The fast corners, fantastic scenery and excellent facilities help to increase popularity year on year. The current Priority Sales ticket prices are expected to be available until Monday 31st December 2018. General Admission is priced at £67 for a Sunday ticket or £71 per person for a weekend ticket. That’s just a £1 increase on 2018 prices! 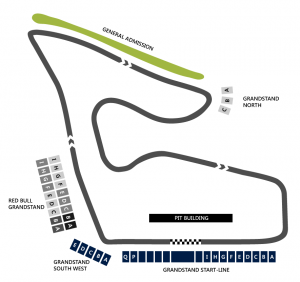 There are three areas for this year’s Grand Prix. 3 Corner is a fantastic option which offers spectators a variety of viewing points to enjoy the race from over the weekend. 3 Corner Gold ticket holders will be seated on the North Corner Grandstand on the Friday. On the Saturday they will be in either the J or K ‘high’ section of the Red Bull Grandstand which offers a great view of the long straight. And on the Sunday they will be seated in the ABC section of the Start/Finish Grandstand. 3 Corner Silver ticket holders will be seated on the either the J or K ‘high’ section of the Red Bull Grandstand on the Friday, which offers a great view of the long straight. On the Saturday they will be in the ABC section of the Start/Finish Grandstand. And on the Sunday they will be seated in North Corner Grandstand. The Red Bull Grandstand tickets start at £149 for a weekend ticket in the JK low section. This Grandstand offers a great view of the longest straight and showcases the high speed and G force that the drivers go through. 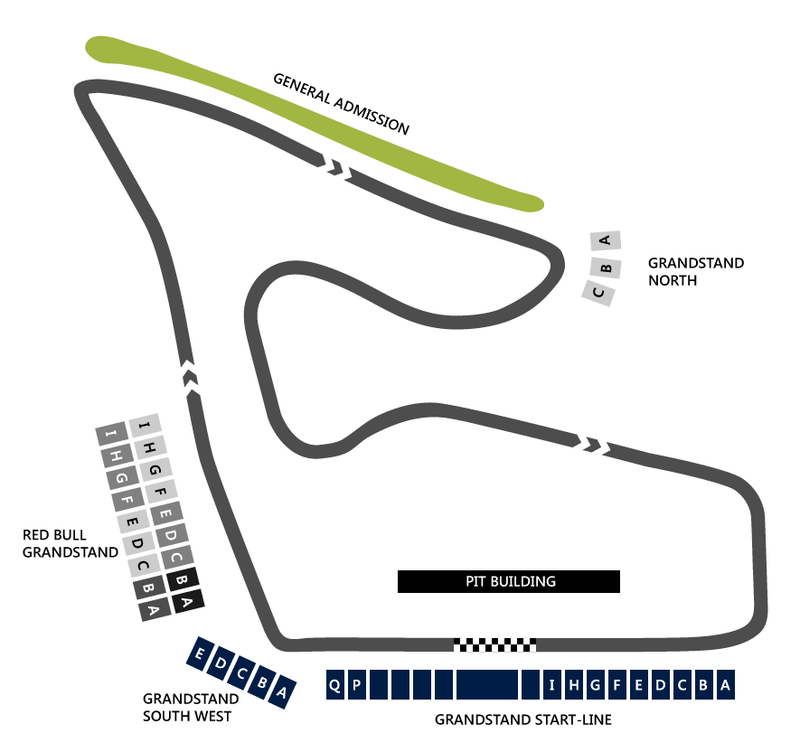 A pit walk will be held on the Thursday before the event. All 3 day ticket holders may attend this event for free – they are also allowed to bring one friend even if that friend is not a ticket holder. Tickets must be purchased for children. Discounted child tickets are also available for children 13 years and under. If you are a disabled badge holder you are entitled to 50% off all ticket prices.